Last May, The Official PlayStation Blog revealed that DC Unlimited was designing a series of figures based on Insomniac’s Ratchet and Clank series and for the Resistance series. Months later, the figures are finally available for purchase. Starting today, both lineups of figures are available for purchase at your local comic book store! First up, we have the Ratchet and Clank series of action figures. 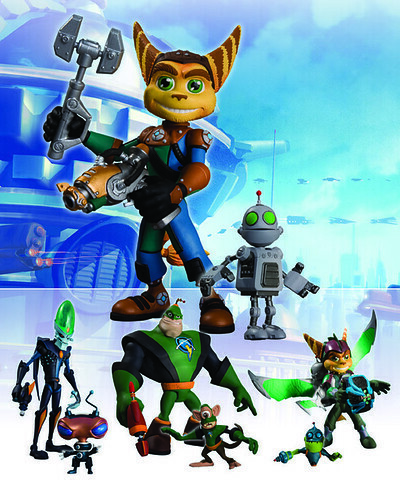 Starting from the top, we have Ratchet and Clank, then on the bottom, from left to right, Dr. Nefarious, Captain Qwark, and another Ratchet figure. As a bonus, each figure comes with a sidekick! Next we have the Resistance series of figures from the ever popular PS3-exclusive FPS. At the top we have the Ravager Chimera, on the left is the Steelhead Chimera, in the middle is Nathan Hale, who comes with a swarmer and on the right, the Chimera Advanced Hybrid. 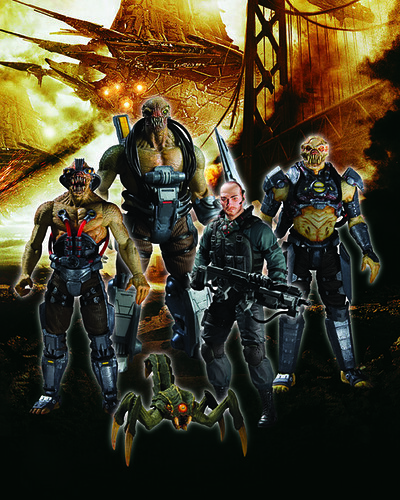 For those collecting the entire series, you might want to check Ebay for the standard Chimera figure that hit exclusively with the Resistance 2 limited Edition box set in November 2008. If you have trouble finding the figures, perhaps DC Direct’s comic book shop locator can help. Good luck and happy figure hunting everyone!